Where does technology cross the line and eliminate ethical fair-chase hunting? For a growing number of states, the latest answer is cellular-linked trail cameras that send images to phones and computers soon after they are taken. The Arizona Game and Fish Commission voted unanimously in June to ban the use of “live-action” cameras. Nevada also banned the use of all trail cameras on public land during certain times of the year. Nearly 90 percent of Nevada is public. The new regulations address a number of issues, said Nevada Division of Wildlife Chief Game Warden Tyler Turnipseed. They prevent hunters from disturbing wildlife around limited water sources, and they remove any question of fair chase. Mule Deer Foundation President and CEO Miles Moretti said his organization doesn’t have an official position on the bans, but he agreed trail cameras raise a number of issues in some situations. Water isn’t scarce in most parts of Montana, but Montana Fish, Wildlife and Parks (MFWP) banned the use of all trail cameras during hunting season in 2010. They have since amended the ban to include only cellular-linked cameras. New Hampshire also restricted their use in 2015. Hunters can use them, but they are prohibited from hunting an animal on the same day the photos are taken. These are difficult laws to enforce, acknowledged MFWP Assistant Chief of Law Enforcement Ron Jendro. However, Moultrie Game Cameras Marketing Manager Mark Olis questioned the notion that cellular game cameras offer a slam-dunk opportunity to kill an animal soon after its image is captured on camera. His company did not actively oppose bans in Arizona or Nevada, but some hunters were disappointed with the restrictions. Moretti attended a couple of public hearings in Arizona where a handful of hunters spoke against the ban. Mostly though, hunters, including outfitter Steven Ward, were either supportive of the ban or indifferent. 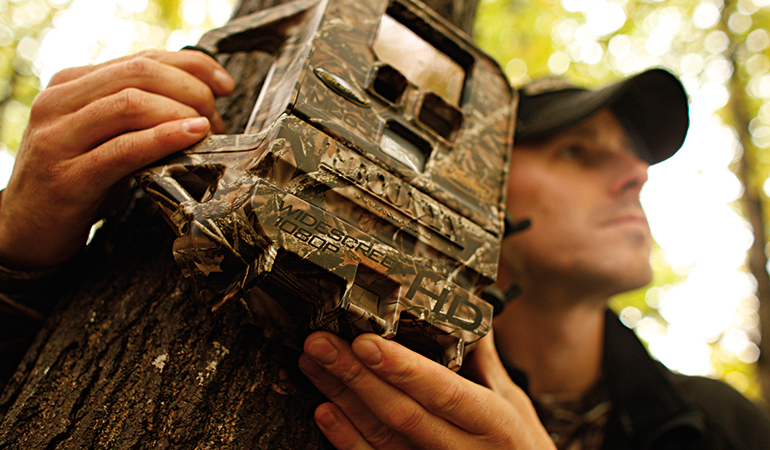 Ward uses regular trail cameras, but he doesn’t use cellular cameras. There was no organized opposition in Nevada, either, although some individuals did speak against the proposal at public hearings. The Nevada Outfitters and Guides Association (NOGA) ultimately chose not to take an official position “because our members were divided on it,” said NOGA Secretary Rachel Buzzetti, whose husband is an outfitter. 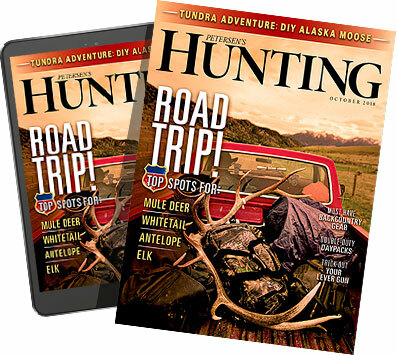 No one knows for certain how many hunters use any type of trail camera, but one thing is clear: Their popularity has increased in recent years, especially around isolated water sources in arid western states. Buzzetti has heard of as many as 60 cameras on a single water source. Turnipseed said he knew of one individual who was using upwards of 300 cameras scattered across several hunt units, and he’s seen a photo of 32 cameras around a single water hole. What’s the harm? In places like Arizona, Nevada, and other places with limited water, Moretti said the answer is simple. The disruption may be over in Nevada, but it will continue in Arizona. The Arizona Game and Fish Commission backed off its original plan to ban the use of all trail cameras within a quarter-mile of any water source on public land. Standard cameras that collect images on an SD card are still legal to use, even adjacent to a water source, but cellular cameras are banned on public land. The Boone and Crockett Club will no longer accept entries that were taken with the aid of a cellular-linked trail camera, sighting ethics as the reasoning. Regular game cameras are still allowed.